The Finnish American Reporter is a monthly, English language journal, established in 1986, featuring articles and news reports of interest to Finns across North America, in Finland and around the world. 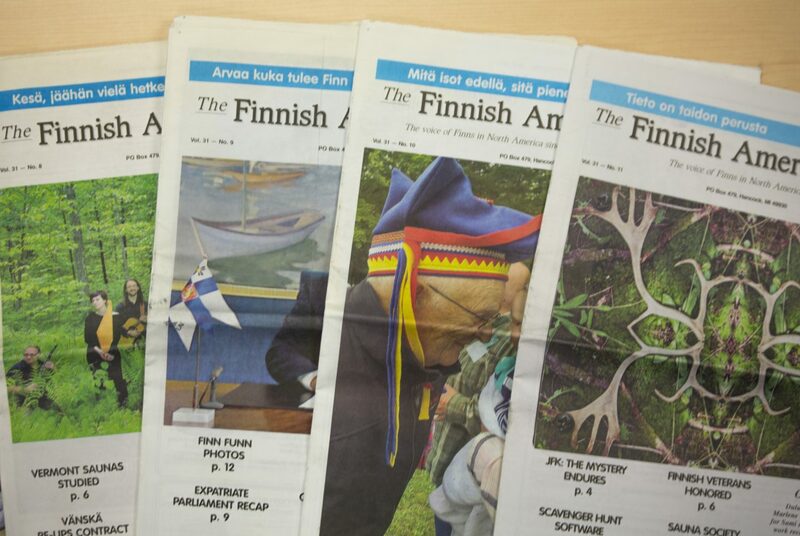 It is the largest and most widely-circulated newspaper for Finns in North America. The Finnish American Reporter has no political or denominational affiliation and welcomes well-written articles representing any aspect of Finnish culture, politics and religion. The Finnish American Reporter provides a national network for announcements of Finnish events in the United States and Canada. Monthly features in the Finnish American Reporter include: regular columnists, genealogy, history, sports and more. Current news reports from Finland and the North America keep the Finnish community connected, despite great distances. Numerous FAR subscribers are active supporters of the FAR by submitting articles, regional news, calendar events and photographs for publication. To join the growing number of participating FAR subscribers, click on the links below. Submissions can also be sent by mail or fax.